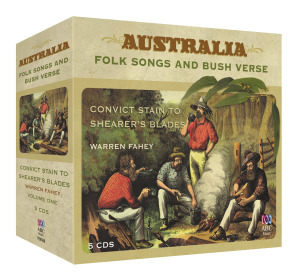 Australia: Its Folk Songs & Bush Verse: From Convict Chains to Shearer's Blades. Box One. Convicts – The system begins. Rookwood Mortuary Railway – the end of the line. GROWING OLD DISGRACEFULLY – a celebration of ageing through humour, story and song. 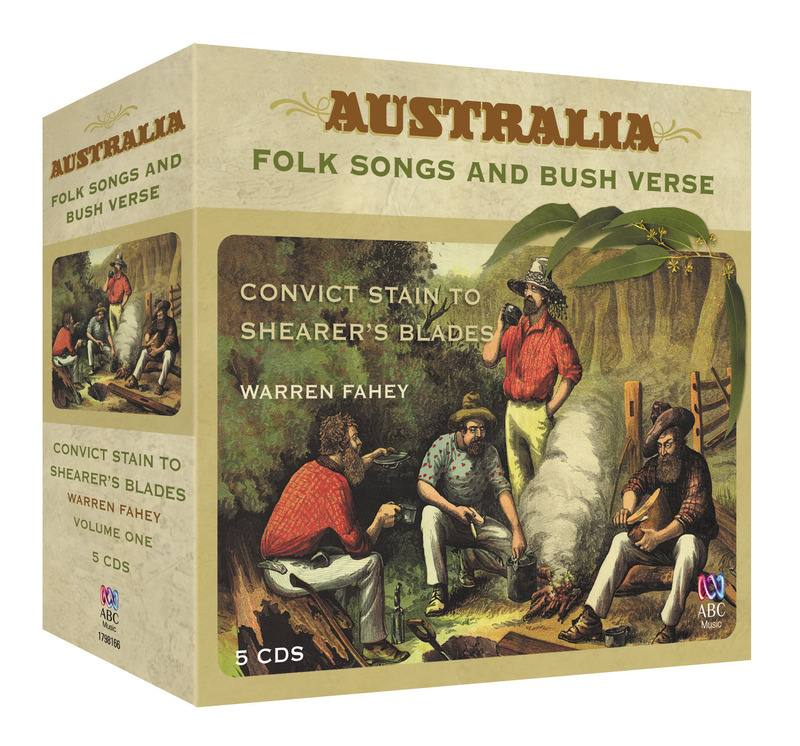 Australia: Its Folk Songs & Bush Verse: From Convict Chains to Shearer’s Blades. Box One. Rare Convict Ballads and Broadsides. Authentic ballads and convict verse. Bushrangers, Bolters & Other Wild Colonials. Highwayman ballads and songs of gold. Give Me A Hut In My Own Native Land. 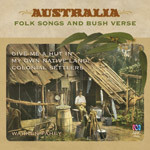 Songs of the early settlers. 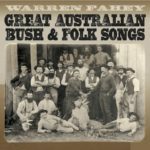 Songs of Drovers, Shearers and Bullockies. International orders please emails for postage options. Local orders – ordering both boxes? Email regarding reduced postage rates. 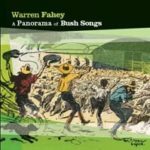 This entry was posted on November 14, 2014 by Warren Fahey.